The audience is invited to keep a balloon in his hands present in space. 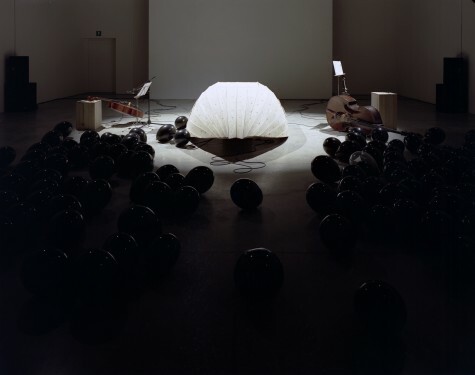 The floor of the room will be covered by balloons, through them you can hear the same sound vibrations that our performer feels with his feet in contact with the speakers sound. The action will begin with a message that will invite the audience to entering the room, to grab the balloons and sit on the floor. The message will be communicated by a professional sign language interpreter, both in Italian and simultaneously Italian Sign Language. 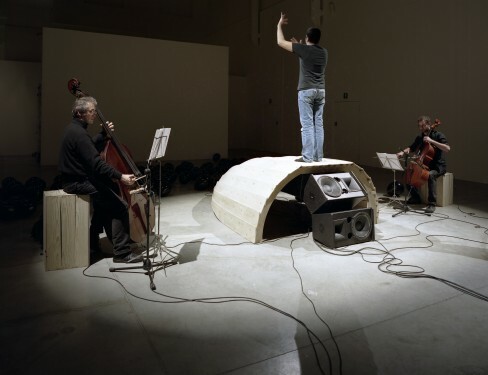 The singer improvise a sign language song based on the vibrations he is feeling, coming out from the cello and the double-bass.